My family has a ridiculous weakness for sweet and spicy almonds. We have been buying a version of them from Costco and devouring them almost as soon as we get them home. I was determined to provide the flavor we love, with a whole lot less sugar. The fourth time was the charm and we are thrilled with these! Preheat oven to 350 degrees. Place the nuts on a large baking sheet in a single layer. Toast in the oven until nuts are fragrant, approximately 13- 15 minutes. Watch them carefully, they will go from perfectly roasted to burnt in just about a minute. While the nuts are roasting, combine the sugar, salt and cayenne in a small bowl and set aside. In a large COLD saucepan, combine the honey, water and oil. 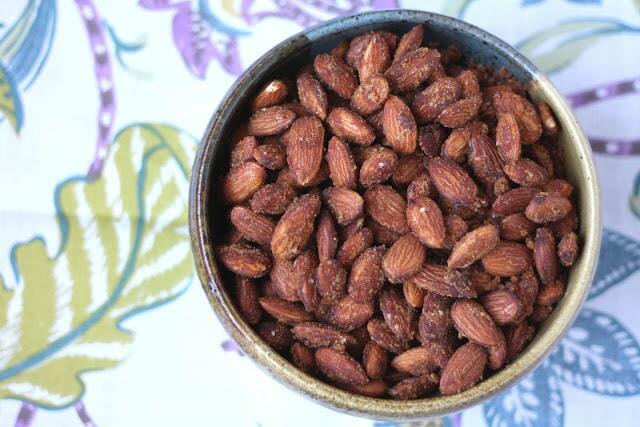 When the almonds come out of the oven, set them aside for a minute. Bring the saucepan to a boil and then reduce the heat to low. Add roasted almonds and cook; stirring every so often, until all the liquid has evaporated and the honey has thoroughly coated the almonds. This should take less than 5 minutes. The almonds should be shiny at this point. Sprinkle the sugar mixture over the coated almonds, a few tablespoons at a time. Stir well between each addition. Once all of the sugar is combined with the nuts, toss to combine thoroughly. 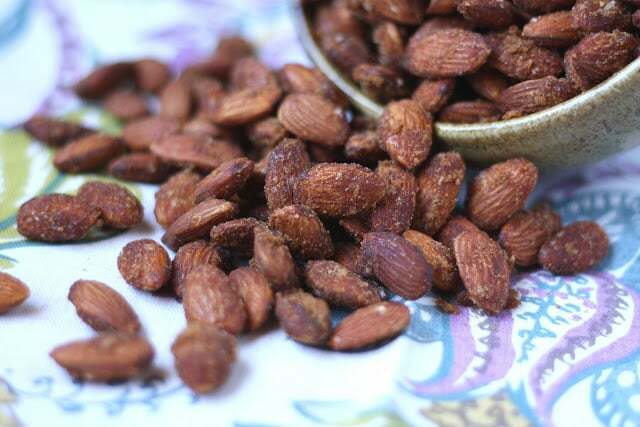 Spread the warm almonds in a single layer on top of parchment paper or a silpat mat to cool. 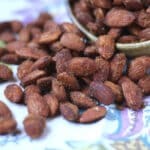 Use a couple of forks or your fingers to separate the still warm almonds if they clump together while they are cooling. Sweet, spicy and good for the heart. Perfect! Those look quite delicious, I would be devouring them too! I am such an almond lover and these look simply delicious!! I've done these on the smoker before and they are awesome! Now if I can just make the wasabi almonds, those things rock! Hi, I can't find these nuts at my Costco. Do you know who manufactured them? These were great! I made them as Christmas gifts today. Definitely had to save some for home-- we loved them. We loved the bit of cayenne, too. This was super easy to make. Thanks! It'll be a keeper recipe for gifts. 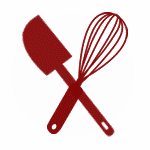 I have made this recipe three times so far this season. We love these almonds. I use plenty of cayenne. Made this for Christmas... couldn’t stop snacking on them. Great recipe.